Create some mischief with the pet ghost with the most, babe, in this Beetlejuice Pet Costume. 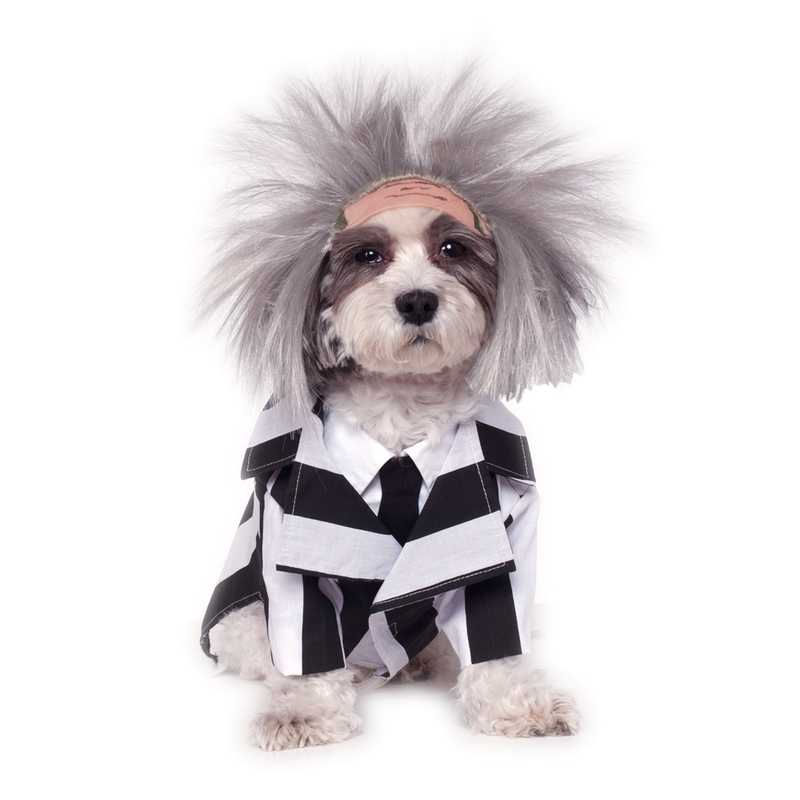 Made of 100% polyester, the 2-piece pet costume includes a costume jacket with dickie and wig. The costume jacket is decorated with black and white vertical stripes, a striped lapel, and an attached dickie shirt with a black tie. The jacket features two front-sleeve leg openings and a larger bottom opening. Velcro patches along the underbelly secure the jacket in place. The costume wig is topped with long gray hair. It secures by an elastic cord with a cord lock- stopper on the pet’s head. You won’t mind repeating your pet’s name three times if this adorable Beetlejuice will appear. Hand wash cold water, Do not bleach, Dry flat, Do not iron.